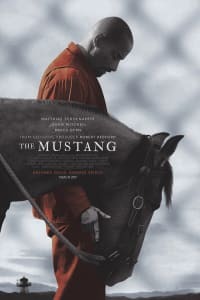 Belgian actor Matthias Schoenaerts (THE DANISH GIRL) stars in THE MUSTANG, one of the many buzzed-about films having its world premiere at the Sundance Film Festival, the annual event for indie films. 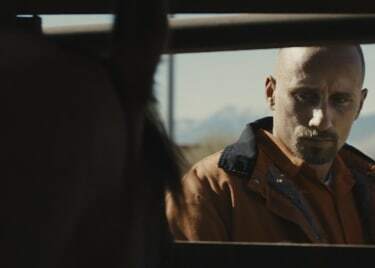 In advance of the film’s bow at Sundance, AMC® spoke exclusively with THE MUSTANG director Laure de Clermont-Tonnerre about crafting this emotional tale of a violent criminal (Schoenaerts) who signs up for a rehabilitation program involving training wild horses. “American Horror Story’s” Connie Britton and STRAIGHT OUTTA COMPTON’s Jason Mitchell — as well as Hollywood legend Bruce Dern — co-star. Sound interesting? You’re in luck: Focus Features will bring THE MUSTANG to AMC theatres near you before too long. What are you looking forward to the most at this year’s Sundance film festival? 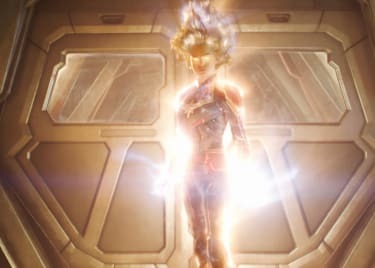 It’s like a homecoming for the movie. I developed THE MUSTANG at the Sundance Labs, so it’s like the movie is coming back home to its family. There’s something emotional about returning to Sundance with this movie after spending so many years working on it. I love Sundance. It’s a festival for movie lovers and a festival that loves filmmakers. How did the Sundance Labs mold your original idea into the film it is today? I felt a lot of joy when I learned I was selected to be part of the Sundance Labs and that my short, RABBIT, was selected to be part of the festival [in 2015]. Sundance has been so wonderful in holding my hand through developing this project. I was traveling back and forth — doing a lab, and then going back to do more research at prisons. It was intense, but it really helped structure the story. It allowed me to reflect on my angle and vision for the film while I was feeding the story with my research from prison visits in California and Nevada. I would explore all the technical and structural elements of putting together the film in the lab, then go back to the prisons to do more research. That was my life for years. Eventually, I had to finish the script — and that was the hardest part! I had so much research and so many details that I had to edit down. With the script finally finished, what was the journey to getting the film made — and landing a distribution deal with a major company ahead of the festival? Matthias Schoenaerts, who plays the lead role in the film, has the same agent I do back in France. That’s how his name came up. I love Matthias’ work, but he’s not American. It’s weird to have a European actor trying to sound American in a movie where he’s in a prison with other inmates. In the end, it wasn’t that important. 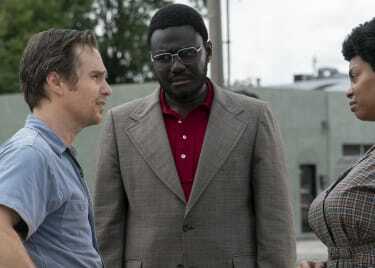 He doesn’t have any trace of an accent in the movie! When Matthias and I met, he was connected with the subject and the character on such a personal level that I saw his investment in the project immediately. By the end of the meeting, I was convinced: He was our lead. With Matthias attached, I started working with my producer to get the financing. We raised some money in France and Europe, but not enough to make the film. We were able to land a meeting with Focus Features — it went wonderfully; I remember it so well — and they loved the script and the subject. A week later, my producer called to tell me Focus was very interested. It feels like such a miracle and an enormous gift to be working with Focus. It was a long journey to put this movie together, five years from the day I decided to pursue it. I’m so excited audiences will be able to see it at movie theatres. I wrote the part of Henry (played by Jason Mitchell) based on an actual inmate I met in Nevada. Bruce Dern responded to the film immediately. He has a house in Nevada and loves horses. Connie Britton reacted the same way; she saw something in the character and had something to add to the project. I found that everyone coming into this film had something very personal to share through their characters. I’m very grateful for that, because you can see that commitment in the film. What sort of movies influenced you in the making of THE MUSTANG? One of my favorite films in the whole world is PARIS, TEXAS, from Wim Wenders. He puts a European lens on a very American subject. I like how he bridges those two cultures. I like how contemplative he is in a story about a man who is realizing he is capable of love. There’s something about the movie that I find so haunting. It still fills me with so much inspiration. This film was my reference and my companion during the making of THE MUSTANG. I also love BIRDMAN OF ALCATRAZ, with Burt Lancaster, a story about an imprisoned man and a bird bonding. I wanted to bring some of the vibe from IN A LONELY PLACE, the Nicholas Ray movie starring Humphrey Bogart. Cinematically, a movie like NO COUNTRY FOR OLD MEN was very inspiring when it came to the colors and the look of the film. What do you hope audiences watching THE MUSTANG at AMC take away from the movie? There’s something very universal about the message of love and empathy in this film that I think can be very impactful for people in general. I hope it’s a film that can make people feel and have them think about people in these programs. It’s very accessible in that sense, something people can be very moved by. Look for more on THE MUSTANG on the AMC Scene soon!